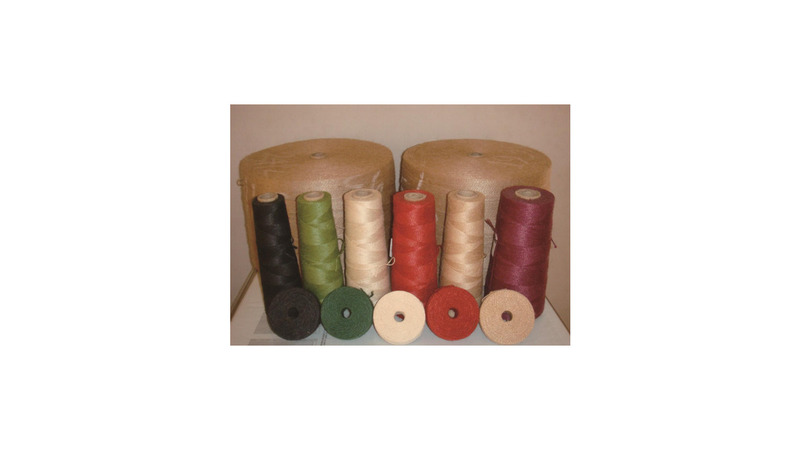 Product: Jute Yarn & Twine, Sacking Cloth & Bag etc. Jute Yarn Count: 3lbs (9.6Nm/16Lea/104 Tex) to 200lbs (0.14Nm/0.24 Lea/6890 Tex). Ply: 2 to 5 ply. Quality: CRP, CRX, CRT, CRM, CB and also Axminister. Make-up: Paper, Plastic, Wooden. Cones and Core less spool. Joints: Spliced, latex, weavers and shavers knot. Packing: Stretch Wrapped Wooden or Plastic Pallets. Production Capacity: 105 Thousand M/Tons (Approx) of Jute Yarn & Twine per annum and also 5 Million pcs. of Standard Twill, Twill & Vegetable Oil Treated Sacking Bag per annum. Specialty: High number of doubling in drawing and computerized feeding in the spreader machine for excellent regularity of yarn. We also export: Raw Jute: BTC, BTD1, BTD2, BTE, BTR etc. & Cutting.